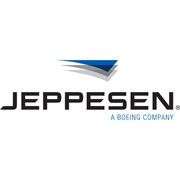 Jeppesen, a unit of Boeing Flight Services, has collaborated with Denver International Airport (DEN), the Federal Aviation Administration (FAA) and other stakeholders to design and deliver RNAV RNP (area navigation with required navigation performance) based arrivals for DEN. The collaboration brings the benefits of Performance Based Navigation – increased runway throughput; reductions in aircraft fuel burn, greenhouse gas emissions and minimized noise footprints – to the Denver area. Performance Based Navigation is the foundation of the FAA’s NextGen modernization program, Europe’s SESAR programs and other future air traffic management concepts, which will alleviate much of today’s delays on the ground and in the air. Working with DEN, the FAA, airlines and others, including authorities from Centennial Airport and Rocky Mountain Regional Airport, Jeppesen has designed new arrival procedures that will expedite the flow of traffic arriving at DEN. The new procedures reduce pilot and controller workload and increase aircraft operational efficiency, while at the same time make DEN more neighbor-friendly. RNAV and RNP also make it easier for the air traffic system to handle and recover from weather and other problems, which today can cause massive, system-wide disruptions. Each of the participants came to the project with specific objectives: DEN’s primary desire was to increase its ability to efficiently handle arriving traffic, while at the same time minimizing environmental impacts of traffic growth. The FAA’s goal was to improve safety and efficiency and lessen controller/pilot workload, and airlines wanted to reduce the number of miles flown while operating in the Denver terminal area. Jeppesen helped bring all the parties together to ensure that the project accounted for all airspace users, RNP- and non-RNP capable alike, and delivered procedures controllers would willingly issue and pilots would willingly accept and fly. Draft procedures, created by Jeppesen’s staff, which includes both experienced procedure designers as well as veteran air traffic controllers, were then charted and coded for stakeholder evaluation, iteration and further refinement. These new RNAV RNP arrival procedures will be fully implemented December 3rd. From initiation to completion, the project was completed in less than 24 months.